Yesterday I shared the most stunning video I have seen on my Facebook Fan page and it had such a huge response that I wanted to share it here with you. I understand this concept very well from my many travels into the spirit world. As a psychic this is something I’m always trying to convey to my clients, that spirit does not view things as we do and time is not a concept for angels and the spirit world. 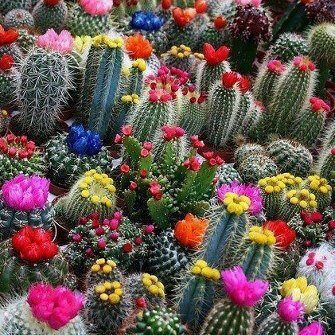 Life is a lot like these beautiful flowers from the cactus plant. then you see the thorny spines of the cactus itself. The cactus is a desert plant, sandy soil and very little water sources, but it thrives, produces beauty and under the most adverse circumstances, it produces water for those who dare to risk cutting it open to drink it. Well, you are like the cactus plant. You have survived against the odds, protected your roots with prickly, horny spines, and against all odds you’ve produced amazing and beautiful flowers and water to those who were lost and thirsty. offspring just like you, and that legacy lives on in them. What you have started, see through to the end. even when the adversity was the result of your own bad choices. and the next thing you know you are blooming once more with beauty. You can do it again, life is not over. Just put your roots down deeper against the storm that came your way. And in due season, the flowers will bloom again. Of this, I am certain. It just takes time.